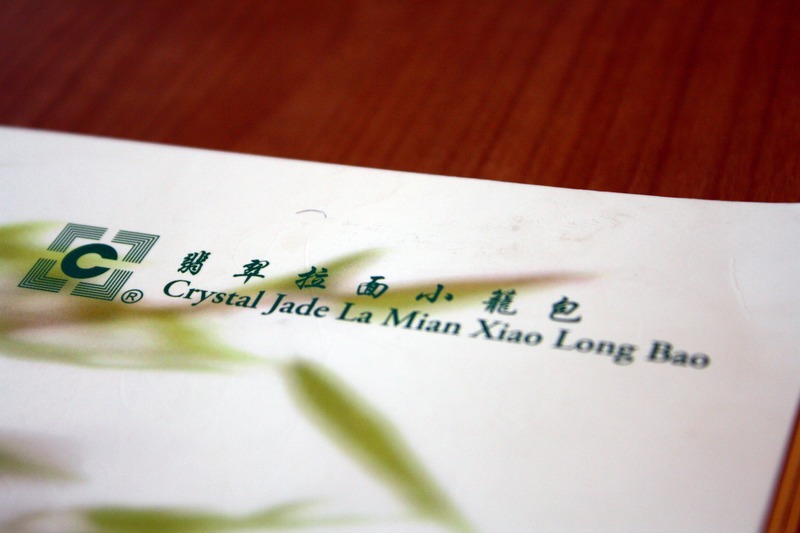 Friends have told me that the Crystal Jade restaurant at the Greenhills Shopping Center offers some of the best Xiao Long Bao in the metro. 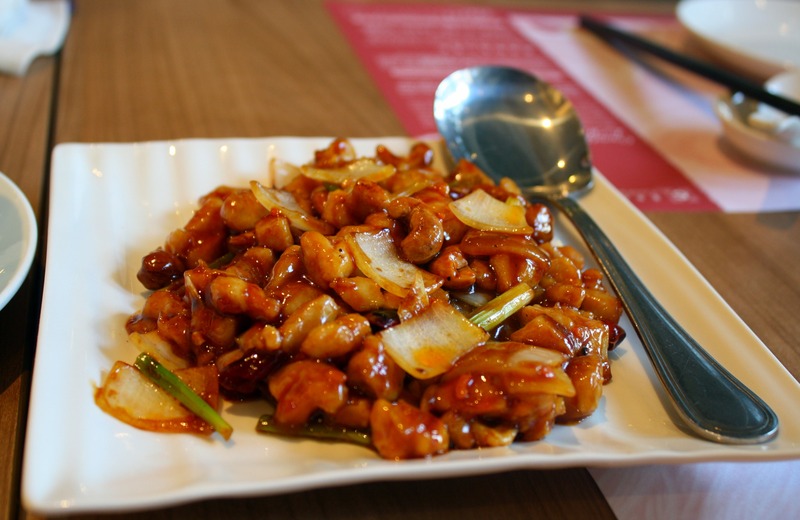 Their counterpart in Hong Kong and Macao were even listed in the 2010 Michelin Guide Hong Kong/ Macao. So when my aunt and I visited the area, I suggested that we go there for merienda. 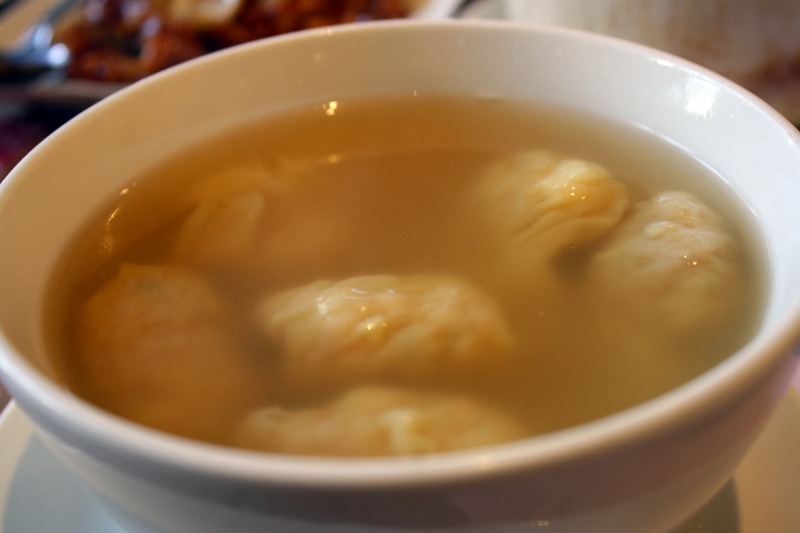 For soup, we ordered some shrimp wanton. For me, this was a meal in itself! 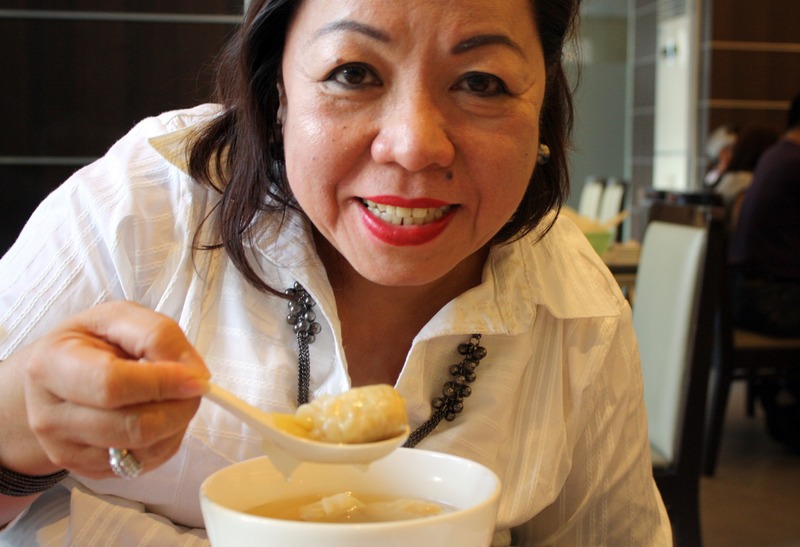 Got so full eating all the dumplings, which to my delight had real shrimp (as opposed to extenders). The clear soup was just right as well. No one got too excited with the salt, as is the tendency in some Chinese restos. 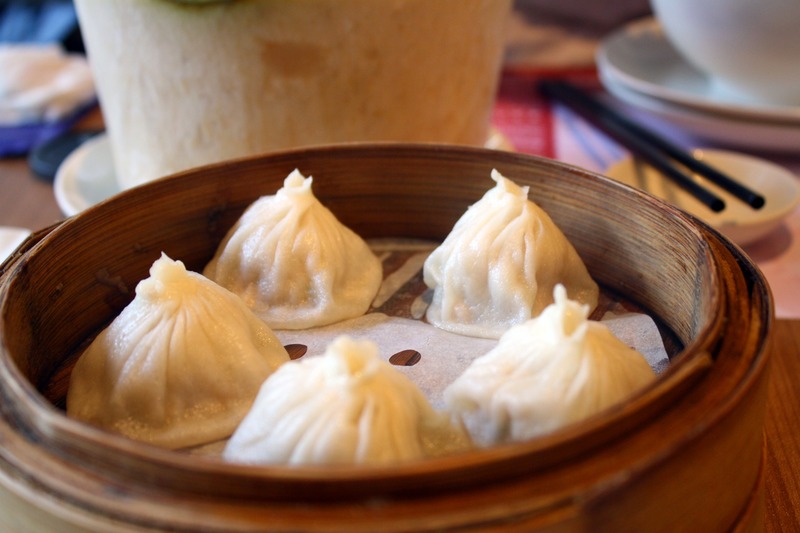 No wonder their xiao long bao is famous the world over. The explosion of flavor as you bite into it is phenomenal! 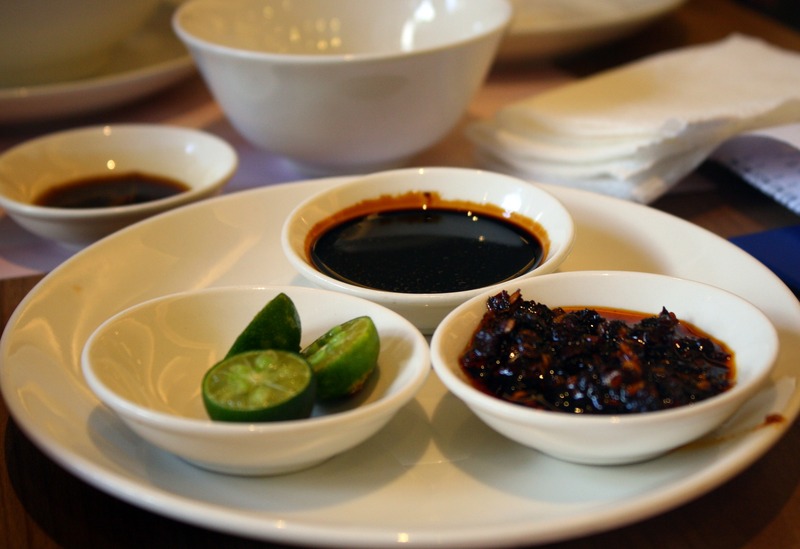 It comes with the usual condiments: soy sauce, calamansi (lime), chili sauce, and a delicious mix of black vinegar and ginger. 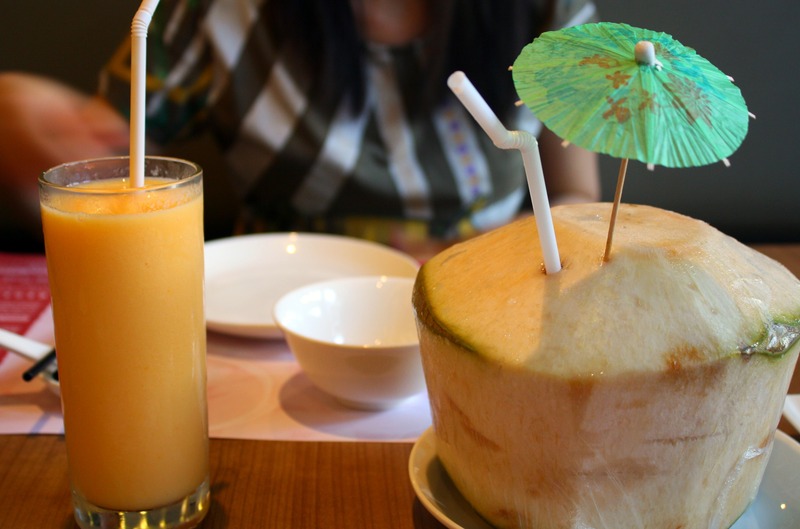 Lastly, I had a Papaya smoothie while my Aunt had fresh coconut juice for drinks. Unfortunately, I thought the smoothie was bland.